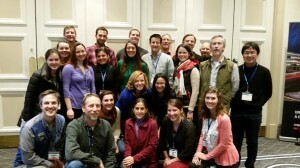 Earlier this month over 30 ZEN participants – faculty, students and staff from over half of our partner sites – met at the annual Benthic Ecology Meeting. 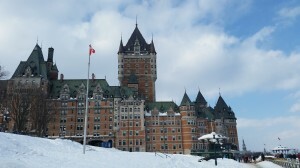 This year the meeting was held in the stunning Chateau Frontenac overlooking the St. Lawrence River in Quebec City, Quebec, Canada. While it was cold and snowy outside, the engaging science made it warm and lively inside. 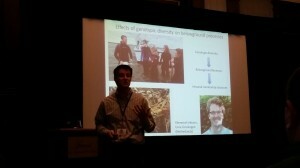 Our ZEN partners presented on their local research – on topics from seagrass habitat fragmentation and mesograzer complementarity, to mutualisms, disease dynamics, biodiversity, and restoration. While the other meeting participants spent the open session on Friday afternoon to get out of the hotel and explore Quebec’s snowsports, our ZEN partners showed their true dedication by staying to discuss more science and plan for our upcoming field season. We even had 7 ZEN partners – from Vancouver to Sweden – who couldn’t be there in person Skype into our ZEN meeting! These virtual participants engaged with eachother and the in-person meeting attendees during breakout sessions. The feedback from all of the partners was great, and it was a nice opportunity for us to spend some real face time together. 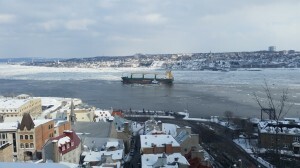 And on the last day of the meeting we did get out a little bit to see the ice floating down the river and explore Quebec City. 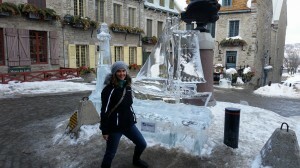 My favorite was the intricate ice sculptures throughout the city. I even tried the maple syrup on snow, a delightful taffy-like concoction, and did some ZEN “team bonding” with a sledding adventure. 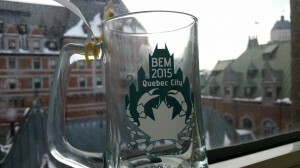 The 2015 BEM had perhaps the best logo to date! Special thanks to Ladd Johnson and ZEN partner Mathieu Cusson for organizing a wonderful BEM and for facilitating our ZEN meeting.